During my daughter’s short visit, she wanted to visit UBC’s rose garden. The university sits on a snout that overlooks the Salish Sea, and while it was too early in the season to find the garden at its best, the view was spectacular. 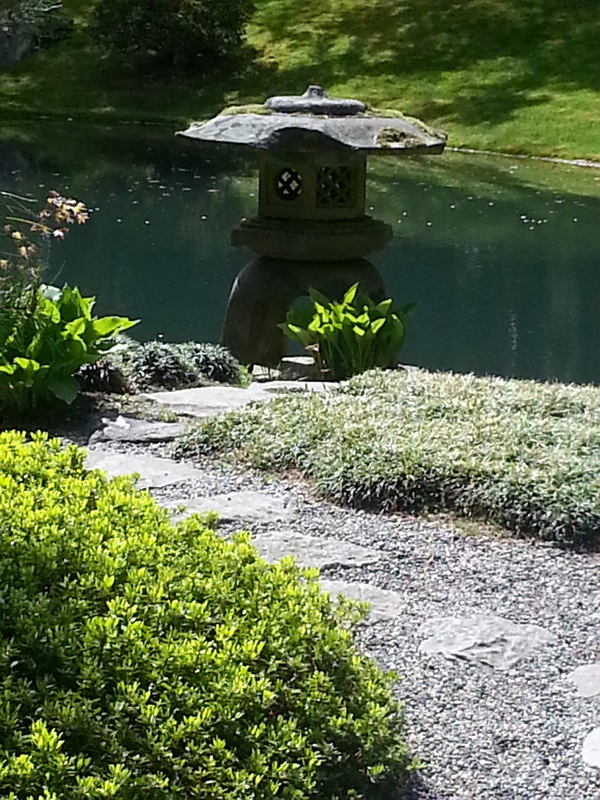 We discovered a Japanese garden I never knew existed. The serene setting was tucked away in a forested corner of the campus and as we navigated our way over bridges and around a pond where carp slithered through dark water, I felt as if in another world. Remarkable! Great photos. I hope to visit one day. Loved the UBC campus while we were in Vancouver! 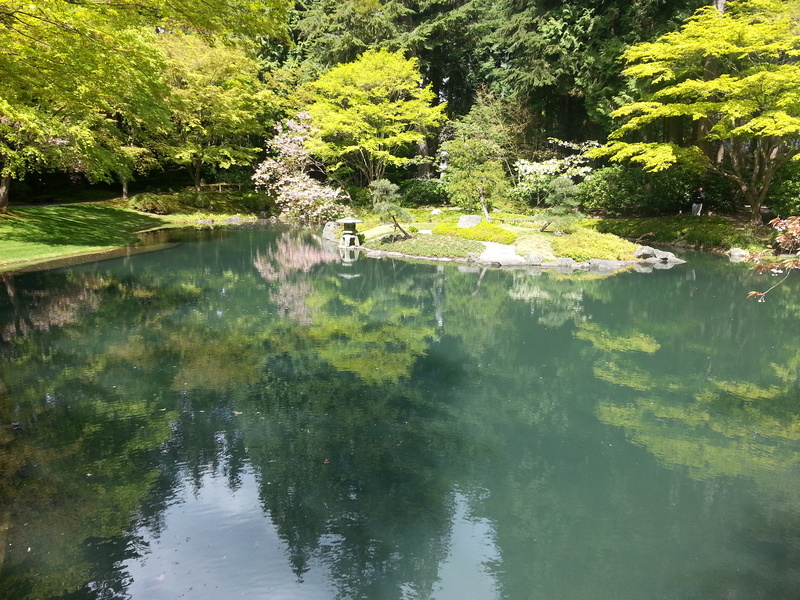 The VanDusen Botanical Gardens were also a gorgeous place to relax.